We opted to take a passenger ferry from Paihia to Russell New Zealand as a day trip while we travelled around the top of the Island. It’s quick, comfortable, and I love being out on the water. On our last visit we opted for the car ferry, however, it’s a small town that can easily be walked, so unless we are spending the night we see no reason to bring our car. 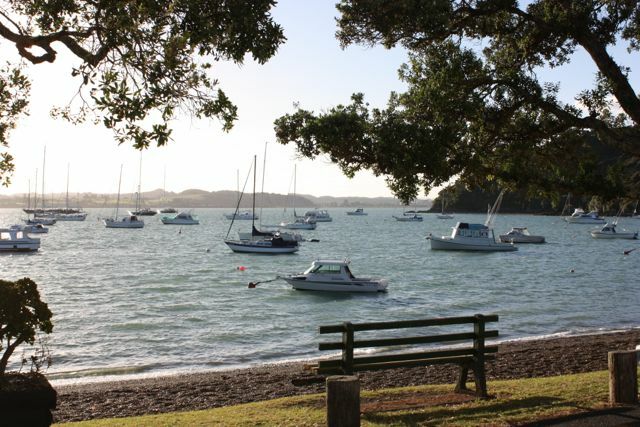 Russell New Zealand is a small, stunning, seaside town across the bay from the Bay of Islands. Russell was once considered to be the Hell Hole of the Pacific. 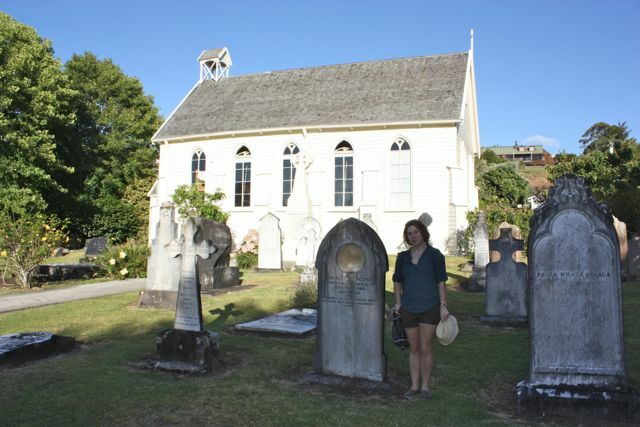 Christ Church – New Zealand’s Oldest Church. Established 1836 it has an interesting story to tell. Hard to believe that back in the lawless days of the early 1800s, it is here that some of the first American and Europeans ships arrived in New Zealand. More specifically they were whaling boats, and when they needed a break, they came ashore to the safe and protected harbour of Russell to rest and trade their firearms, alcohol and more. Reading the history I am not sure that safety or trade was their primary motivation, but rather to partake in this town loaded with liquor, prostitution and limited, if any, laws. A Sewing Machine in a Tree? 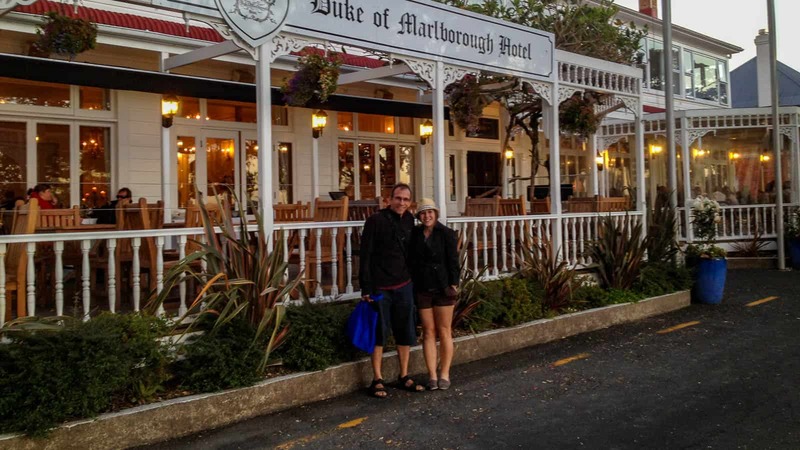 A story told to us by our waiter at the famous Duke of Marlborough Hotel. About 170 years ago (he didn’t have an exact date) a fire broke out in the hotel. As the hotel burned, someone tried to save a big heavy sewing machine by throwing it out the window. Unfortunately, it landed in the tree outside, which is where it stayed. The tree continued to grow up around it. Now you can only see little bits of the metal. Take a close look, can you spot the metal bits of a sewing machine? Neither can I. 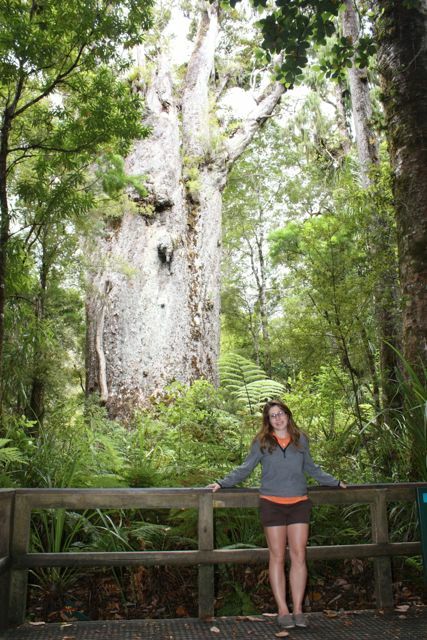 Have you visited the Bay of Islands? Did you cross over to Russell New Zealand? This is funny because not too long ago a bicycle was growing in the trunk of the tree, no joke. 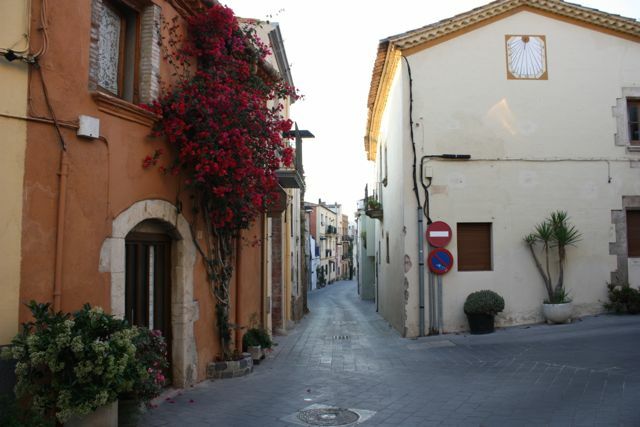 Great photos, and I’m sure that your niece is having a blast with you as her tour guide! I didn’t see the sewing machine, but love the story behind it. I see it…down toward the left and this is definitely a good one for Silly Sunday! 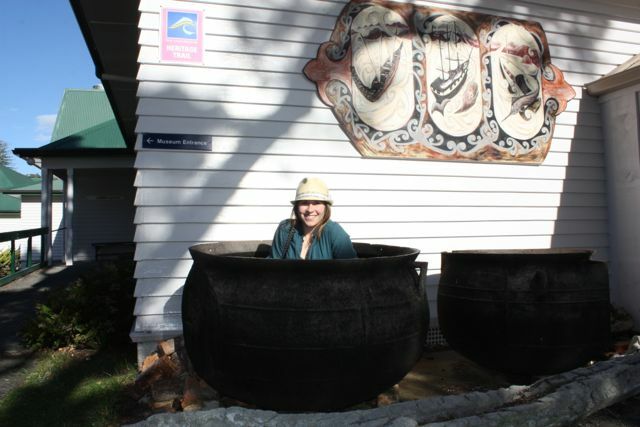 I also love you in the big cauldron! Sorry, but I’m not seeing the sewing machine. I wish I was there visiting you, like your niece. One day.